Dr. Kitch has been performing head and neck cancer surgery for over 20 years in the Charleston area. 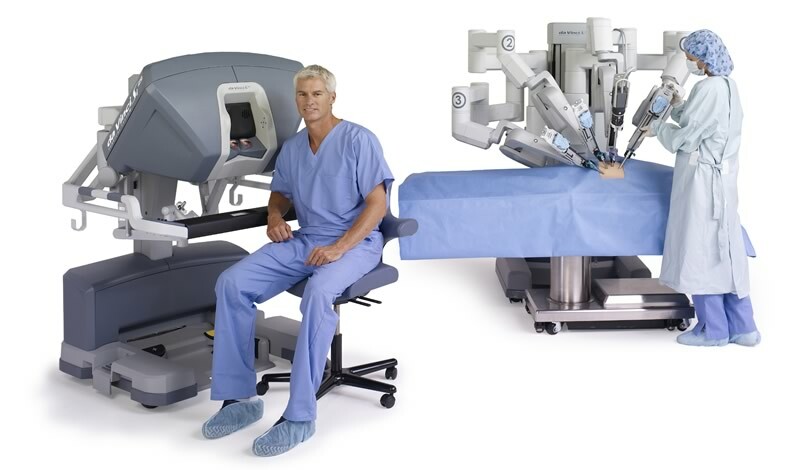 In the fall of 2014 he began treating patients using da Vinci Transoral Robotic Surgery (TORS). Specific head and neck cases are now being treated at Trident Medical Center. The da vinci TORS is a state of the art procedure that allows for a less invasive approach to many tongue, laryngeal, pharyngeal and tonsillar cancers than traditional open procedures. For more information contact LCENT. For more information da Vinci Transoral Robotic Surgery (TORS), visit their website. Hyperthyroidism can be caused by Grave’s Disease (overproduction of the thyroid hormones), growths on the thyroid (either nodules or a goiter), inflammation of the thyroid and, in rare cases, pituitary gland malfunction or cancer. Symptoms include a feeling of speeding up or nervousness, shaky hands, fast heartbeat, sweatiness, red or itchy skin, frequent bowel movements, weight loss and weakness or tiredness. For mild to moderate symptoms, the treatment is usually antithyroid medicine. In more severe cases, radioactive iodine may be swallowed by the patient to destroy the harmful part of the thyroid. Hypothyroidism is caused by underproduction of thyroid hormones (Hashimoto’s Disease), exposure to excessive amounts of iodide (an old treatment for croup in children), high levels of lithium and removal of the thyroid gland. Symptoms usually appear gradually over time and may include feeling tired, weak or depressed, lower energy level, brittle nails, dry skin, constipation, memory problems and feeling cold more often. For women, it may also cause heavy or irregular menstrual periods. Hypothyroidism is treated with thyroid hormone pills. A thyroid nodule is a growth on the thyroid. A goiter is a swelling of the thyroid gland itself. Thyroid nodules are usually benign – only five out of every 100 thyroid nodules are cancerous. Most thyroid nodules are small and difficult to detect. However, bigger nodules may lead to swelling of the neck and problems with breathing or swallowing. Thyroid nodules and goiters may be indicative of hyperthyroidism. They can be diagnosed with a combination of blood tests to evaluate how well the thyroid is functioning; a thyroid scan, which uses a radioactive material and a camera to visualize the thyroid; ultrasound to see the number, size and placement of nodules; or fine needle biopsy, where a piece of tissue is removed from the nodule to determine if it is benign or malignant. In cases where cancerous or pre-cancerous cells are present, surgical removal is generally recommended.